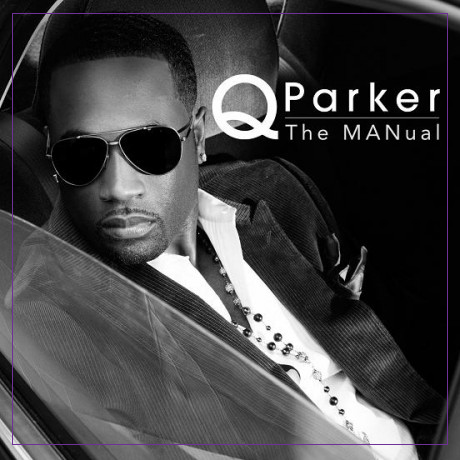 KayKiSpeaks.com: Q Parker of 112's Debut Solo Album #TheMANual is in stores today! + Brand new Video "Yes"
Q Parker of 112's Debut Solo Album #TheMANual is in stores today! + Brand new Video "Yes"
Well it's about time! After many years of preparation and hard work, one of the founders of the super group 112 has released his debut solo project! Grammy Award winning Singer/Songwriter Q Parker's album The MANual is available today and Q has definitely stayed true to that r&b sound we all fell in love with 112 for. Q's sweet tone and control made for a very key piece of the 112 sound overall. You can listen to just about any song and hear his influence, so it's no surprise that fans have been not so patiently waiting for this day to come. This new record is HOT from the door. The MANual is basically an album for the ladies. It's for the women who want some real r&b music from a real man's perspective. Q delivers on that. He's talking about real issues and with a voice that the ladies have never been able to resist! Fans will be assured that r&b is still very much so alive when they press play. Q connects with close friend and Grammy Award winning super writer/artist Crystal Nicole as well as old Bad Boy artist and friend THE Faith Evans on the project as well. His single YES is blazing hot and the visual for it is equal parts sizzling. Check it out below & be sure to get Q's brand new album The MANual today! Congrats bro! Nope! He's MINE! Always was my favorite in the group. Q still got it! haha both of yall can fall all the way back! you couldn't tell me q wasnt my man back in the day and dont let me see him when i visit atl next month! its on!